DMC Lafayette's new Monaco office has confirmed corporate business with Moet Hennessey, Roche, Visa, Canon, Avon, Abbott and Microsoft for 2010 and 2011. The Paris-based DMC opened the new office on 1 November and has already handled groups from Pfizer and The Washington Times. 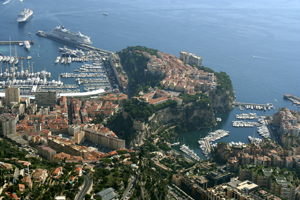 The Monaco base is headed up by general manager Lucas Coenen, who worked for Lafayette Travel in Paris from 1997 to 2000, and has more than 20 years of experience working as a DMC on the French Riviera. Michael Freeland has also joined as manager, sales and business development. Freeland previously worked for LSO for 27 years and also has extensive knowledge of the region. Sabrina Caputo, director of sales at the DMC's Paris office, will be working closely with Coenen and Freeland to help establish the new office. She says that much of the confirmed business for Monaco is from the US, but that the UK and Germany will also be key target markets. Lafayette's decision to expand into the South of France and Monaco followed the demise of LSO International. LSO, which merged with Menno Meyer Associates in October 2008, went into liquidation earlier this year. "When LSO closed, around 70% of their clients came directly to us so it made sense for us to open in Monaco," said Caputo.